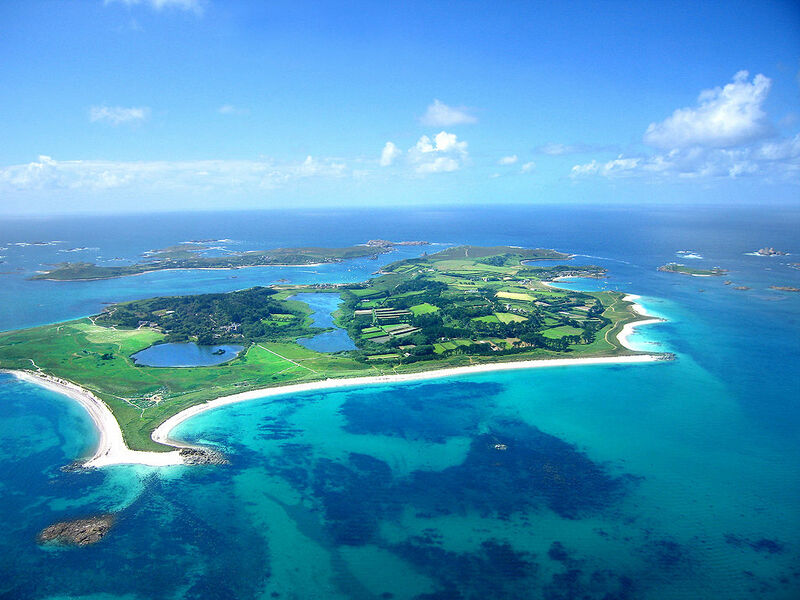 Pentle Bay is located on the island of Tresco, the second largest island in the Scilly Isles of England. The shore is shaped like a crescent and each tip offers different views of other beaches and islands in the area. On the north end, you will find Lizard Point, the southernmost part of mainland Great Britain. Even if it isn’t a beach, it offers a great view of the sea. On the opposite end, you can see some of the other islands in Scilly Isles. These islands are the Great Arthur and Little and Great Ganilly. There are two notable features in Pentle Bay. The first one is the cool waters. You would think that with the climate in the Scilly Isles, you can expect the water to be warm. However, Pentle Bay surprises you by being at least two degrees colder than the shore. The water temperature makes it the perfect match for the warm climate and what’s great about it is that it is not cold enough for you to get chilled. Second is the sand. Before you even get a dip in the water, you’ll first notice the sand that is as white as powder. The beach is so powdery, it’s rather nice to just walk on the shore. Sadly, there aren’t any facilities in Pentle Bay. If it’s your first time visiting, expect that there will be no lifeguards, no restaurants and bars, and no small establishments selling beach items. The closest thing to a facility is the New Inn, a hotel in Tresco which offers small and quaint cottages for you and your family. Since there are no facilities, you would think that there is nothing to do in Pentle Bay. Well, you’re wrong. As what was said earlier, the water temperature is a welcome invitation to people who love to do water sports. Its white and powdery sands also allow visitors to enjoy beach sports like volleyball and frisbee. If you aren’t sporty type, you can just walk along the shore and you will notice a lot of birds in the area. Because of the many species you can find here, a lot of amateur bird-watchers take time to capture photographs of the birds. If you find yourself on Tresco Island, you might as well visit some of its beaches. One of these beaches is Rushy Bay which is by the side of Pentle Bay. Like Pentle Bay, Rushy Bay has chilly waters. You can see more boats pass by on this beach, too. And since you’re already at Tresco, you should also check out the Tresco Abbey. Tresco Abbey is a 17-acre garden where you can see a lot of flora growing beautifully to create a peaceful and well-landscaped garden. This place has been in Tresco since the 19th century and it has added a touch of character to the island.